Mobile home living allows its residents many of the same benefits as a conventional home but often times, comes with lower costs and less maintenance. While they do present fewer costs and problems, mobile homes still require proper inspections and regular maintenance to ensure livability and to make sure they pass home inspections like in traditional or site-built houses.Mobile home insurance is as equally important too. How can you maintain your mobile home properly? To help you keep your abode beautiful, healthy and in good condition, here are some mobile home maintenance tips you can follow. Conducting regular inspection on your own is the practical way to do mobile home maintenance. Just simply check what’s off and not in your home. Take note of any damage or possible problem such as mold build-up or mildew. This way, you can prevent any further damage from occurring and you can seek professional help as early as possible. But of course, you also need professional home inspection by the experts once in a while. Keeping your home properly leveled prevents a host of other problems. If you notice that your windows or doors are not closing properly, that cracks are appearing in your walls, or that your floor squeaks excessively when you walk on it, your mobile home is probably uneven. While it is important for the owners of site-built homes to check the level of their homes, this step is essential for the owners of manufactured homes, which are built in one place and then deposited elsewhere. Whether your home is site built or manufactured, you should conduct a regular inspection to ensure that it remains level. If you find that your home is uneven, you can purchase a kit or hire a professional to help you even it out. Homeowners often neglect the “skirting” or otherwise called “perimeter enclosure.” Skirting ventilation is highly important in mobile home maintenance. While the skirting around your mobile home does add curb appeal, it is there for more than decoration. 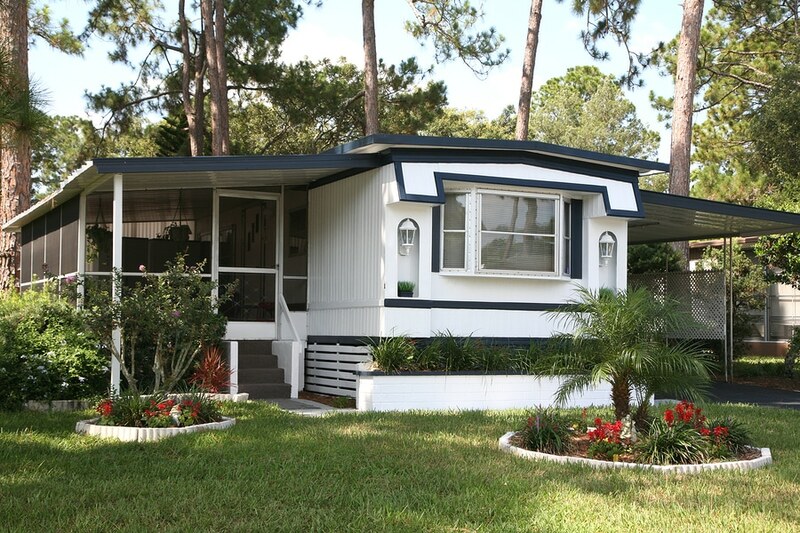 Skirting protects the foundation of your mobile home. It does not only act as an insulator, it also keeps pests away and prevents the growth of mold if properly ventilated. Whether you choose simulated rock or brick, or plain siding, you must maintain the proper skirting ventilation. See to it that you get proper ventilation in your home. The professionals have provided a formula on how to determine proper skirting ventilation. It is as follows: for every 150 square feet of space, there must be 1 square foot of venting. Moreover, avoid or prevent dead air pockets by installing vents within 3 feet of each other. Having the proper perimeter enclosure along with the correct square footage of venting allows you to protect your home. Just as with a conventional house, keeping the roof in good condition is important. The roof must be included in your list of mobile home maintenance habits. Mobile homes differ from conventional houses because they have flat roofs, which means that a leak can cause more water damage at a faster rate. It is important that you frequently assess the quality of your roof, even if you do not notice a leak. Regularly check and maintain your roof. The maintenance depends on the type of roof you have. For example, if your home has a flat roof, it is advised that you must recoat or reseal it regularly, perhaps once a year. Using the right coating is also important as there are certain coatings that cannot be used on certain roofs. For instance, aluminum and asphalt coatings should not be applied on rubber or PVC roofs. Furthermore, make sure that there are no cracks in the caulking and that the flashing is in great condition. Mobile homes require different plumbing needs than site-built ones. However, both types of homes have more or less the same plumbing structures, such as drain line, supply line, pipes and such. The main difference is that in mobile homes, every water feature ideally should have a shut-off valve, particularly in the faucets and toilet. It is important that you know which part of your home these valves are located. Mobile homes are usually built with different materials than conventional homes, which means that you will need to purchase unique, often difficult to find materials to maintain your home. For instance, as this article from doityourself points out, fixtures such as doorknobs and faucets, and materials such as drywall and vinyling typically differ in mobile homes. As you are choosing materials to maintain your mobile home, remember to acquire the right types of products. Mobile home maintenance is highly important to keep the value of your property, and to ensure that you are always living in a safe, sturdy and healthy home. These mobile home maintenance tips should assist you in keeping your mobile home in pristine shape, but remember that problems eventually will arise. On top of these maintenance tips, you must not neglect insurance. Our passionate team at Gebhardt Insurance Group wants to help you find an insurance policy for your mobile home that gives you the coverage you need at a cost that you can handle. If you are interested in purchasing a new insurance plan for your mobile home, get a free quote today. We want to find you a plan that not only meets your financial needs, but also adequately protects your home in the case of an emergency or needed repairs.